Panaceum is young Swedish metal band, with all five band members ranging in age from 17-21 years old. This is the band's second demo, a follow up to their First Step demo that I actually reviewed a couple years ago. 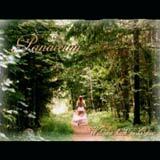 Panaceum plays a very uplifting brand of melodic metal, with a folkish touch, thanks to some effective violin parts that are used in their songs. From what I can hear, the band has developed their songwriting skills since their first demo, and I certainly think they have developed a unique sound. These days, female fronted metal bands are easy to label as Nightwish clones, but that's not the case here. Panaceum have their own thing going here, and I feel that the band is on very solid ground, especially considering their young age. The lyrical content is very personal in nature; dealing with life memories and nature/Earth. Panaceum is not trying to blow you away with heaviness, thundering riffs, or aggressiveness. Instead, they successfully create catchy and emotional songs which speak to the listener. Along the way, the guitarists deliver some heavy, but not overpowering riffs, and some very slick harmonized leads and solos. Each of the songs has a great sense of melody, which is a must for this type of uplifting, at times epic style of melodic metal. Harmony vocals and violins are used to accentuate the melodic parts. I think the band captures a similar vibe to early (first three albums) Nocturnal Rites in spots; albeit not as heavy. Speaking again of the violins, they effectively add a folk atmosphere to the songs. I thought this was a nice touch for the songs; fitting very well with the general vibe of the music, and helping to develop a personality for the music. The lead vocals are a highlight for the band. With her angelic and emotional voice, 21 year old lead vocalist Anni Karp breathes a ton of emotion and feeling into these songs. Violinist Maria Lindblom adds some of her own vocals throughout to create some very natural and memorable harmony vocals. With continued hard work and development as musicians, I can't imagine Panaceum not drawing some label interest in the near future. Their sound is very unique and inspired; something that many signed bands lack. Additionally, Panaceum seem to have no problem putting together interesting arrangements and playing their instruments with precision. I'd like to hear what this band could do with a decent recording budget. For a demo, the overall sound quality is good. However, the vocals sound disjointed from the music here and there, and the bass frequently sounds almost entirely left out of the mix. Despite that, it's not difficult to tell that Panaceum is very talented group of musicians and songwriters.